The six main crystal systems are represented in this beginning geology student’s introduction to crystal form. 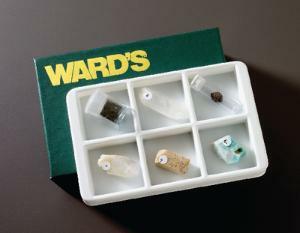 The set is housed in a compartmented collection box, and an identification list is included. 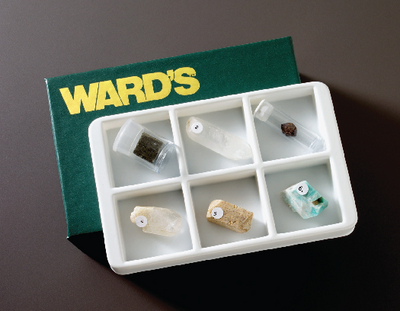 Contents:6 numbered samples, 1" x 1"